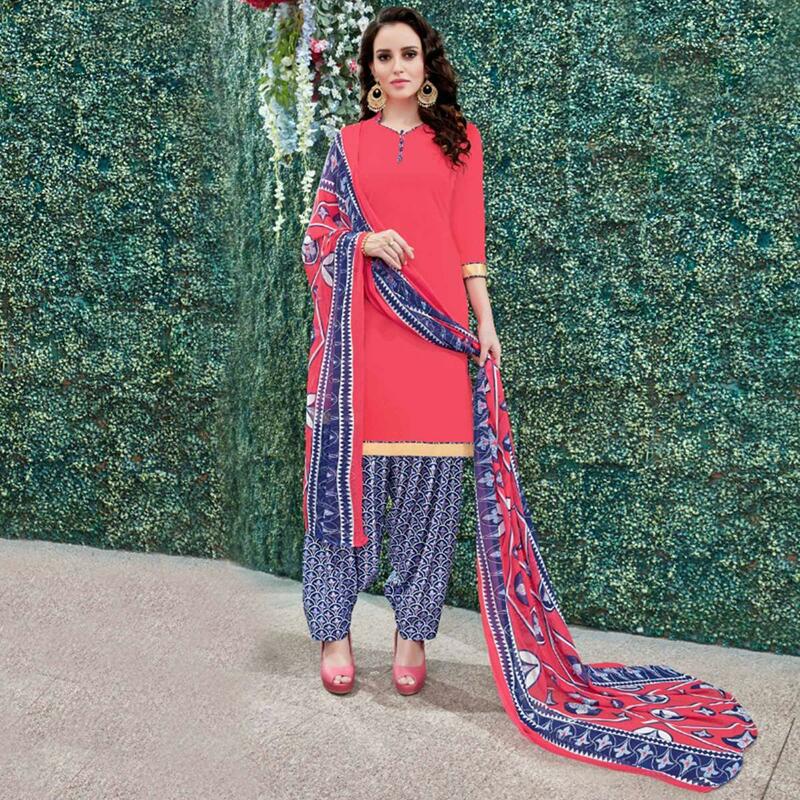 True magnificence comes out of your dressing design with this pretty pink colored heavy crape patiala dress material. 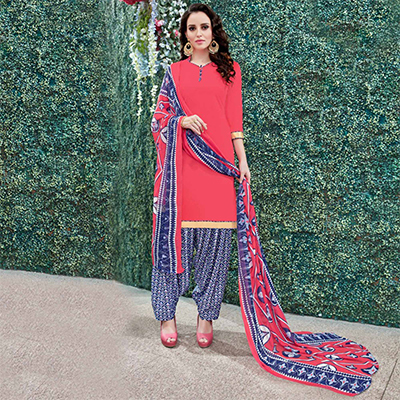 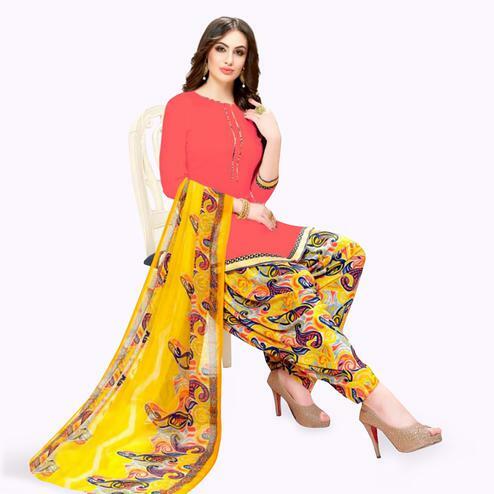 Available with unstitched crape bottom and printed chiffon dupatta complimenting the attire. 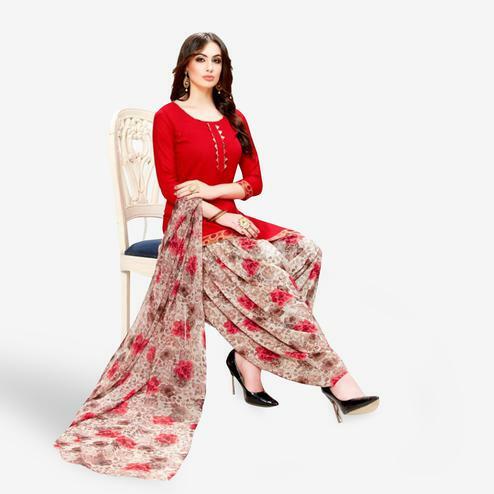 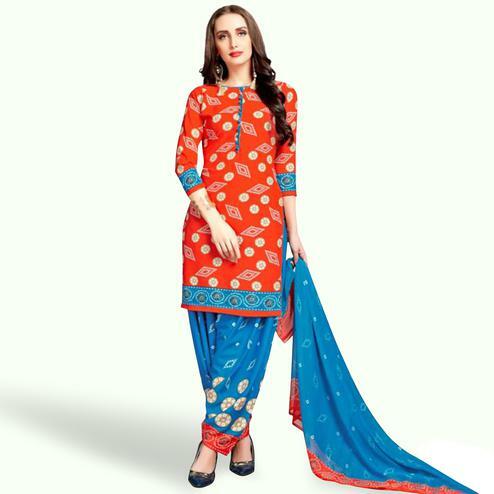 Get this dress material stitched into patitala suit and wear it for your upcoming family parties, weekend get-together, casual wear, office wear and kitty parties.Team this with a pair of matching earrings and heels for the perfect look.